Salem, and its neighbors Marblehead, Gloucester, and Rockport, are on Cape Ann, a stretch of land arcing into the Atlantic just north of Boston. Salem encompasses many of the attractions that bring people to Massachusetts: early American history and literature, seafaring lore, a lively arts scene, history and art museums, cool cruises, and good dining. 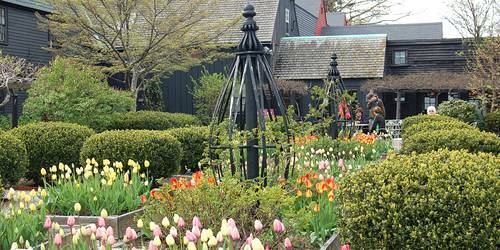 In Salem, you can learn about the infamous witch trials of 1692, tour the real House of the Seven Gables, and visit a national park of Colonial maritime life and trade. 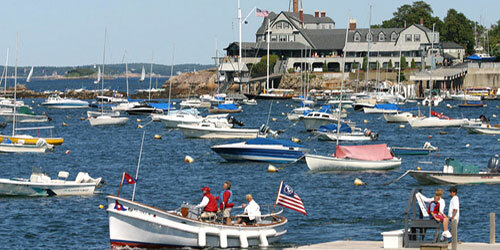 Take a beautiful waterfront drive to get to the fine dining and art galleries of nearby Gloucester and Rockport. Coming from a northerly point, routes 127 and 127A will take you on a lovely loop through Rockport and Gloucester. Below, you will find some suggestions for day trips to those outlying towns. If you are in Boston and contemplating a side-trip to Salem, a sweet option is the ferry that travels between Salem Wharf and Long Wharf North in Boston. The one-hour trip on the high-speed catamaran Nathaniel Bowditch is restful and informative. Onboard staff members even tell you a bit about the natural and man-made history of Salem, Marblehead, and Boston harbors. The nearest major interstate highway serving Salem is I-95. The town is 25 miles northeast of Boston and 98 miles south of Portland, Maine. The nearest major airport is Logan in Boston. A quick look at the map will show you that I-95 – designed for fast travel – is deep inland. You may wish to get to Salem quickly and then explore or to travel to the town along shoreline (and slower) roads with marvelous ocean views. If you're coming from the Boston area, take Route 1A for ocean views and you may even want to veer over to Route 129 into Marblehead. 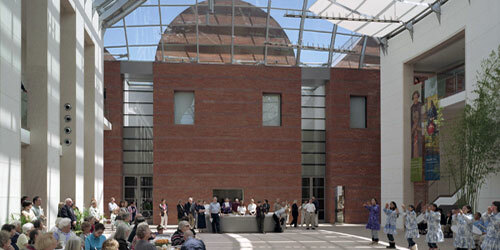 The world-class Peabody Essex Museum in Salem has an airy and modern interior and a museum store that will tempt you to empty your bank account. The permanent collection includes maritime art about Salem's China trade; lots of interesting public and seasonal events. The museum's gift shop is packed with beautiful and artistic gifts – you will be captivated. 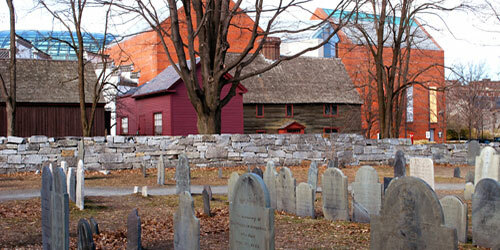 Salem Maritime National Historic Site at Derby Wharf is an easy walk from the center of town. These of wharves and buildings on Salem harbor trace the history of seaside Colonial towns and early maritime trade. Exhibits bring these salt-drenched times to life. In Colonial times, Salem was the launching point to send merchants, adventurers, and seafarers of all kinds out to all points on the compass. Merchants brought fine products home from all parts of the world, especially China and the Far East. 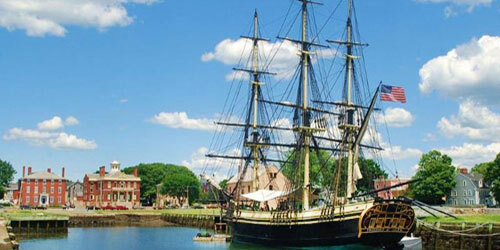 This national park, including a fine visitors center, buildings, wharf, and a replica tall ship, describe the mariners of Salem who helped the most powerful national economy in the world of its time. Tour the House of the Seven Gables, built by a sea captain in 1668 and sold to another sea captain, Samuel Ingersoll, in 1782. The Ingersoll family was connected to author Nathaniel Hawthorne, who used the home as his setting for "The House of the Seven Gables." Hawthorne's birth home has been moved onto the same property. Enjoy the three-season Colonia-era gardens and climb the secret stairway. Tours offered daily. Salem is where local Puritans put hundreds of people on trial for witchcraft during a period of hysteria in 1692 and 1693 and executed 20 of them. You've seen the story on the screen or read about in ancient and contemporary interpretations. 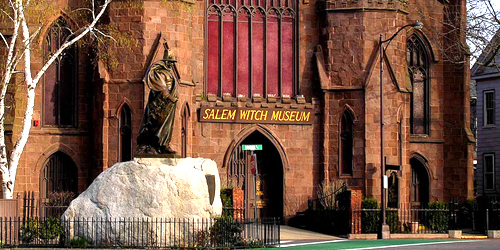 The Salem Witch Museum in Washington Square tells the story. Haunted Happenings, in October, is a giant witchcraft and Halloween festival. 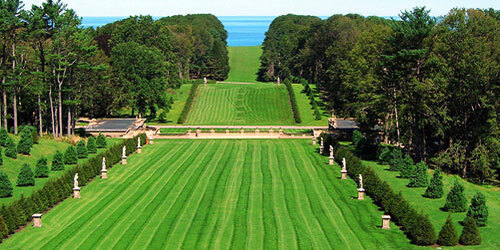 Castle Hill on the Crane Estate, in Ipswich, a 20-minute drive from Salem, is a magnificent Italian Renaissance villa on a lofty hillside with dramatic views of Ipswich Bay and many inland estuaries. Lots of walking trails, including some to the beach below. Picnickers welcome. Visit Rockport, a 30-to-40-minute drive up the coast from Salem (this could also be an all-day venture). This seaside town is an enclave of the visual arts; you can meander from one gallery to the next all day. Take a look at the famous Motif #1 fishing shack on the water. Shoppers and browsers will enjoy the well-known Bearskin Neck, a neighborhood of Rockport that is a short walk to the tip of a tiny peninsula. 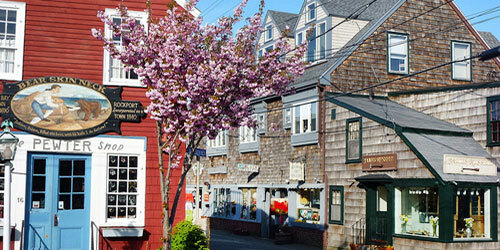 The walk through Bearskin Neck is lined with fun and interesting shops and eateries. Great for gift and souvenir shopping. Hop onto Route 114 and take a 10-minute drive into neighboring Marblehead, across the cove from Salem. Wander the streets lined with 17th- and 18th-century buildings. Take Ocean Avenue to the point and walk along the lovely harbor. A nice out-of-town drive is a 30-minute trek northeast to Gloucester along Route 127. This is the world-famous fishing port (home of the "The Perfect Storm" story). 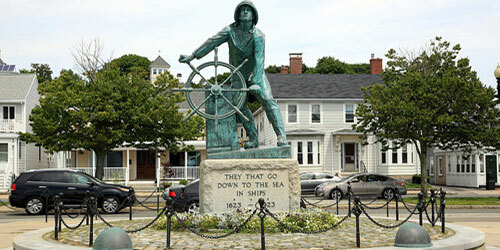 See Gloucester Fishermen's Memorial on Route 127 and visit the Annisquam or Eastern Point lighthouses. Visit and take a cruise on the magnificent Fame of Salem, a replica of an 1812 privateer, at Pickering Wharf Marina on Wharf Street. 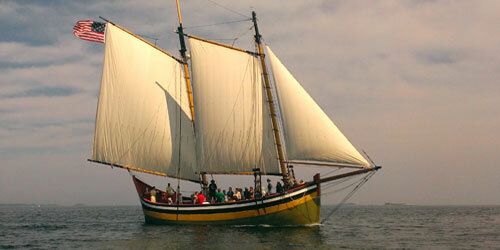 The Fame is a full-scale replica of this famous schooner. She takes visitors on tours of Salem Sound, May to October. Choose a self-guided walking tour and hit the sidewalks. The National Park Service hands out excellent brochures for the African American History Trail, A Walking Tour of the Great Age of Sail, and the Nathaniel Hawthorne's Salem. Each walking trail takes about one hour. 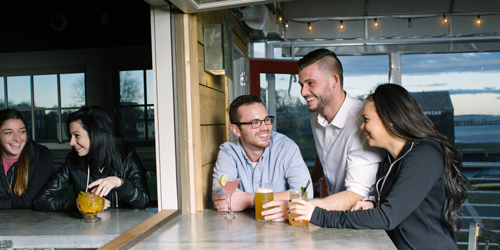 Salem nightlife is not only about witches and cemeteries. The club In a Pig's Eye on Derby Street offers many genres of live music. On weekends, enjoy Celtic bands at O'Neill's Irish Pub and Restaurant. A cool nightspot with music is Opus Underground. Visit the Notch on Derby Street for a selection of craft beers. The Ugly Mug Diner at 122 Washington Street in Salem is all right based on its name alone. Delicious food: cheesy grits, bangers, chicken & waffles with streusel butter. Red's Sandwich Shop at 15 Center Street in Salem offers classic diner food, prepared well, with plenty of heft and value for your dollar. Many patrons recommend the Lobster asparagus Benedict and the Ultimate Bloody Mary. The Landing on Front Street in Marblehead has a deck overlooking the town cove. Rustic and down-homey; good clam chowder, of course! 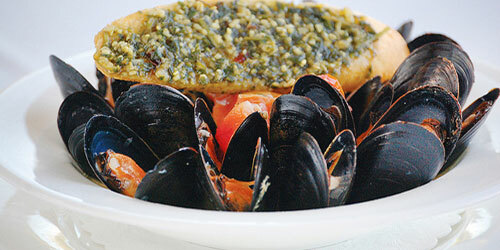 Gulu Gulu Café, 247 Essex Street offers good and satisfying food in a friendly atmosphere that invites you to kick back. Tasty craft beer and coffee; even and old-time Scrabble board welcomes you. Nathaniel's at the Hawthorne Hotel in Washington Square is the heart of Salem physically and historically. This traditional and elegant hotel, built in 1925, has welcomed presidents, media icons, and Hollywood characters. The service is white-tablecloth quality. Finz Seafood & Grill at Pickering Wharf. Located on a Salem wharf with a deck overlooking the water, Finz gets happy reviews from people loving the views, the friendly service and excellent seafood, especially the sesame tuna, Buffalo calamari, seared scallops.